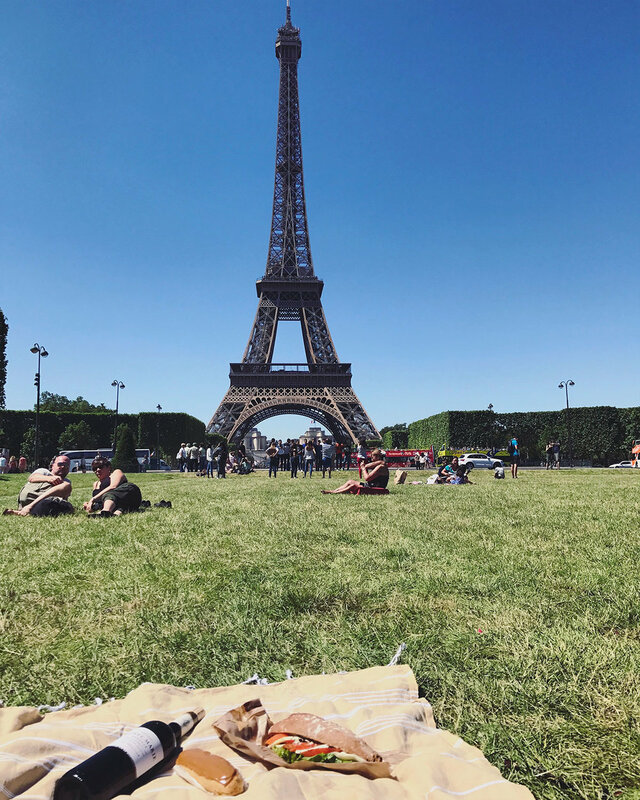 How to Have A Perfect Parisian Picnic — Sapphire & Elm Travel Co.
Oh, Paris; city of lights, city of love. The first time I went to Paris I was 17. It was with my family and we embarked on a road: flying into Rome, then renting a car. After several days in Rome we drove to Florence then Venice. After traversing France we ended our trip in Paris. I took French in high school and had hosted two French students at different times growing up so I was so excited to finally be in France! After spending the day in Monaco, we went to Nice, Nîmes where one of my French exchange students lived to visit her and her family, Montluçon then finally Paris! I remember lots of green rolling hills, charming villages and castles as we drove through the country to get to Paris. We stopped for lunch one day in the middle of nowhere and I ordered a salad nicoise that my young pallete was ill-preparred for such a strong fishy taste, scaring me and my notion of anchovies for the next decade. We stayed at a castle in Montluçon. We dined on salmon mousse in a dimly lit room. It was far too surreal, I felt like I had stepped back centuries in time. I was in awe. When we eventually made it to Paris I knew I was home, minus the overexcitement to eat a burger at Planet Hollywood which was conveniently located next door to our hotel on the Champs-Élysées. Five years later, in 2012, I studied abroad during University and lived just a short RER ride to Paris. Although living in the outskirts of this major city, it was a dream come true. To eat a baguette and cheese daily, for it to be not only socially acceptable but encouraged to have wine with every lunch, to have frequent picnics at the Eiffel tower. So when I came to Europe again in 2017 for the summer, I had to come back to this magical city. But with two previous trips here under my belt, and four months of living in the city, I had done practically all of the touristy things. I’ve been to the Louvre about half a dozen times. I’d been to the top of the Eiffel Tower a couple of times. I’d climbed to the top of the Notre Dam, seen a show at the Moulin Rouge, taken a bateau mouche boat ride of the Seine (on my birthday actually! ), visited Musée d’Orsay.... you get the picture. I had done the touristy “stuff”. This time is Paris was more about being here in the present moment. It was more about wandering around aimlessly to discover new streets or to stumble upon old favorites. It was about leisurely eating dinner, enjoying a couple glasses of wine and watching the city live and breath. It was about finding a patisserie to grab a daily pain au Suisse because I really missed those. It was about hopping on and off the metro at random to discover the area with no destination in mind. I was in heaven. One thing I did repeat was a picnic in the Champs de Mars, the park at the base of the Eiffel Tower. It was a beautifully sunny day and I was going to spend it outside, so why not at this iconic place? In order to have the perfect Parisian picnic, I only needed a few things. 1. 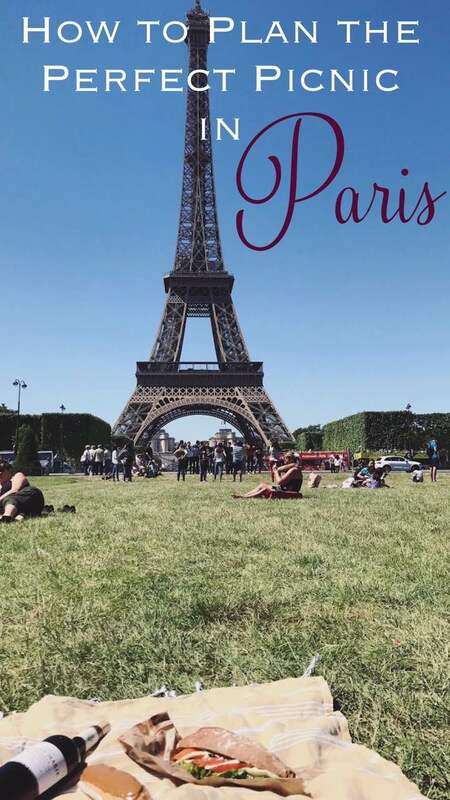 Choose a location - it can be an iconic place like the Champs de Mars in front of the Eiffel tower, Jardin des Tuileries, Jardin du Luxembourg, or any park where there is grass and you can stare at iconic Parisian architecture and people watch. 2. Pack the essentials - a picnic blanket, water, sun hat, stereo, etc. whatever you think necessary to ensure you’re set for the day. 3. Get some grub - whatever you’d like to "mange"; sandwiches, bread and cheese and olives, pizza, anything! 4. Wine or champagne is a necessity - don't forget cups and a bottle opener! 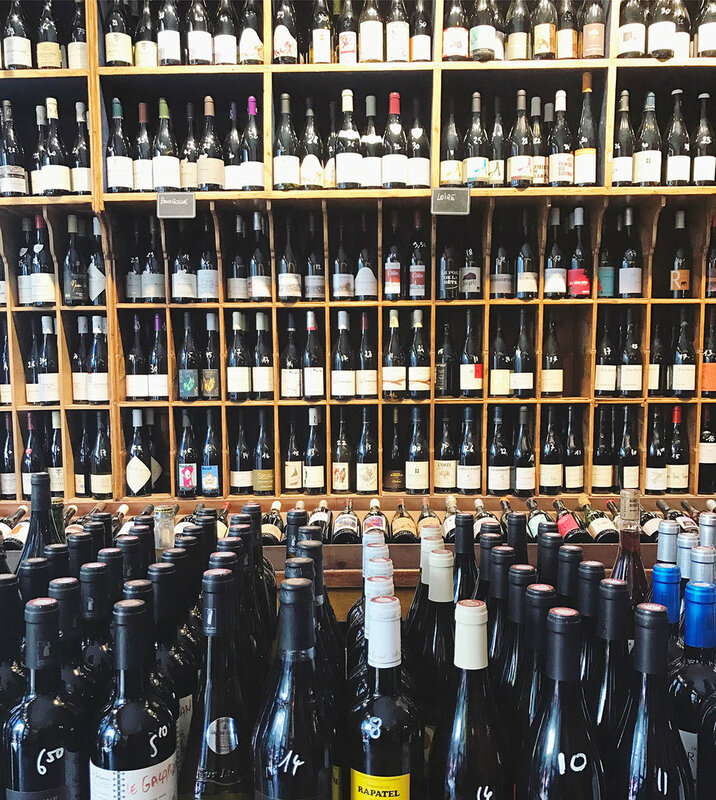 You can ask the shop to open the bottle it for you! 5. Choose your company - meet a friend, or chill solo with a book. 6. Enjoy - you’re in Paris! 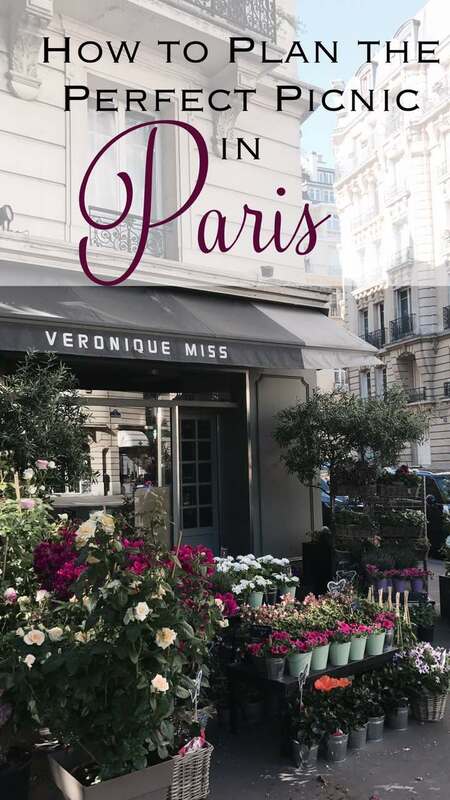 Paris is one of our absolute favorite cities in Europe, there is so much more to see! Contact us to plan your next European vacation to Paris, France and beyond.